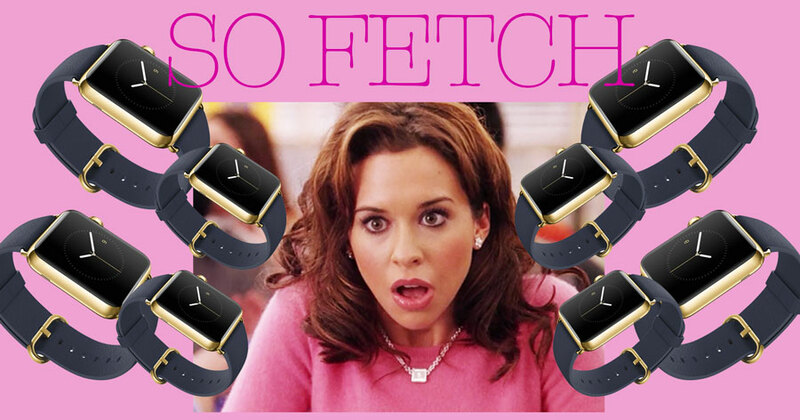 Is wearable tech like trying to make fetch happen? So I read a whole magazine dedicated to wearable tech recently and I was pretty fascinated. It’s so interesting that every industry is certain consumers are looking for tech based products and are developing all sorts of weird and wonderful gadgets for our spending pleasure. But do we actually want it? Look at the Apple Watch. It’s cool, absolutely and it’s unattainably expensive for most people which bumps the fashion factor as well. But the practicalities of a phone that’s a watch are just simply not that great. I can see me washing my hands and killing that situation in no time. Plus, like every other Apple product this won’t be the ‘it’ item for long before they bring out something new. You start to wonder with the rate at which technology is developing if it’s worth buying into these products at all. Saying this I have been prone to falling for the tech sales pitch. I read an article reviewing the Ringly smart ring that vibrates when your phone rings so you don’t miss anything important. It was also one of the most aesthetically conscious pieces of wearable tech I’ve seen. I was pretty sold by the time I read the whole thing so I looked at getting one. But at £160 I thought, perhaps not, I’ll just keep my phone on vibrate in my pocket. But looking at the flop of Google Glass, it’s interesting to really think about the usability of a product vs. the aesthetics. Google has released all sorts of statements as to why the glasses didn’t cause a shopping storm. But lets face it, those specs were F U G L Y. I don’t care if they gave me x-ray vision, there is no way I would be caught dead sporting a pair of those. For all the tech impressiveness, consumerism comes down to desirability and that lies in the aesthetics. Perhaps this is why many tech companies have collaborated with fashion houses to market these products as luxury fashion accessories. The thing is if your going to invest in something you really want it to be timeless. But an Apple watch in 20 years time will be the future equivalent of the Nokia 3310. I honestly don’t believe consumers are looking for a fully technological world, despite the push from designers. I don’t want an electric dress that tells me when I’m too hot or too fat and I probably couldn’t afford one anyway. Whether or not in 20 years time we’ll all be wandering around chipped up to our eyeballs, I can’t predict, but I honestly feel wearable tech isn’t desirable for the everyday consumer. Yeah it’s clever but it’s just not Fetch. I actually do have the apple watch – though my partner brought it for my birthday. I do love mine, it’s great for notifications if your out and about, plus you can control your music without taking your phone out your bag every time you want to change a song. I do use it a lot for the fitness side too though and it’s waterproof to a degree, no you can’t go dunking it in water for 5 mins but washing your handing and splashing it…yes! Everyone is different but I don’t think I could go without mine now.